Vacation rental house. Sleeps 18, 6 bedrooms, 4 bathrooms. No pets allowed. 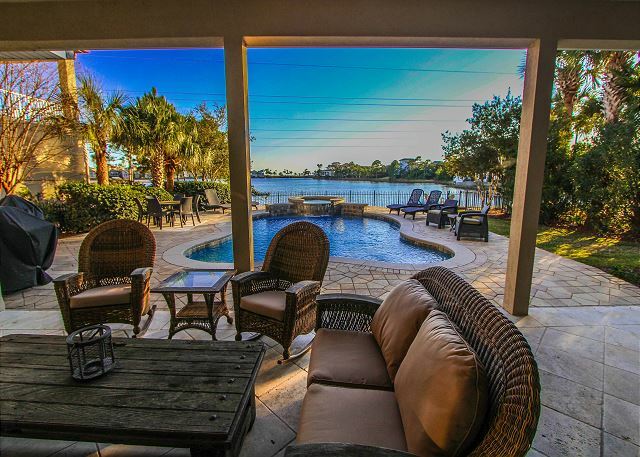 Anchor Down is a never-before-rented lakefront 6BR/4BA home with a beautiful view of the lake and the Gulf. 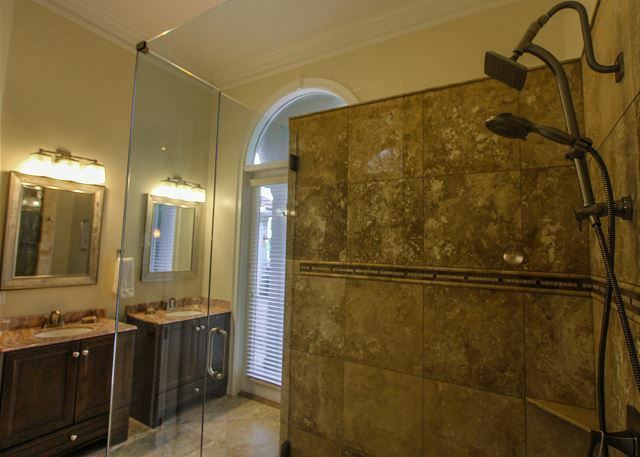 It is located in Destin’s most prestigious gated community of Destiny East. 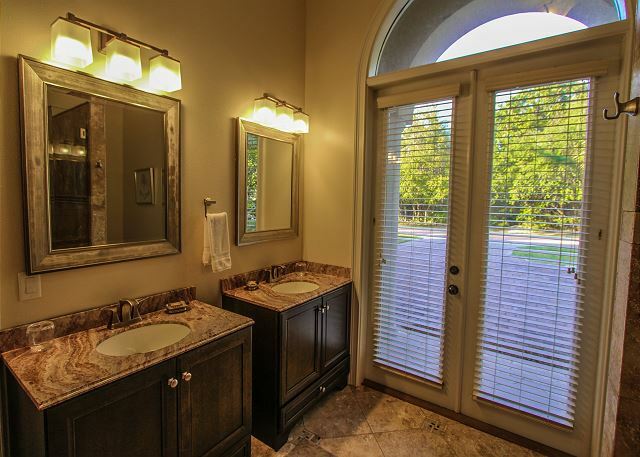 This wonderful home has a professionally decorated interior, a private newly updated pool/spa and patio area, and all the Destiny East community amenities. 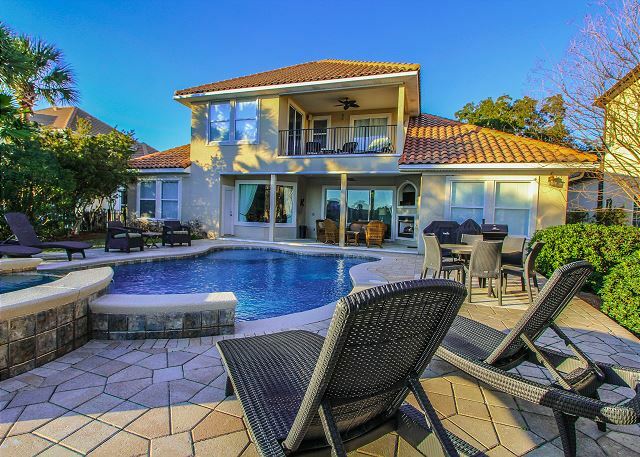 Anchor Down is the perfect home for large families looking to spend a week on the beautiful white sandy beaches of the Emerald Coast. This property has new Owners that will be upgrading and replacing furniture to give you the best vacation experience available. 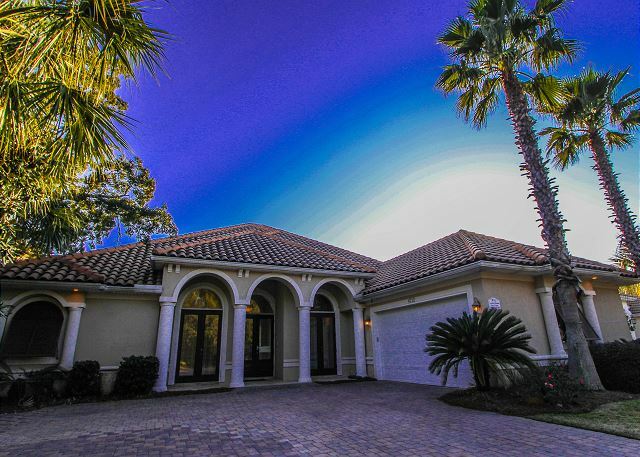 Guests will be swept away as they enter this spacious home with open floor plan. The large living area overlooks the private pool/spa, lake and then the Gulf of Mexico. The living room features seating for six, a fireplace, and a flat screen TV. 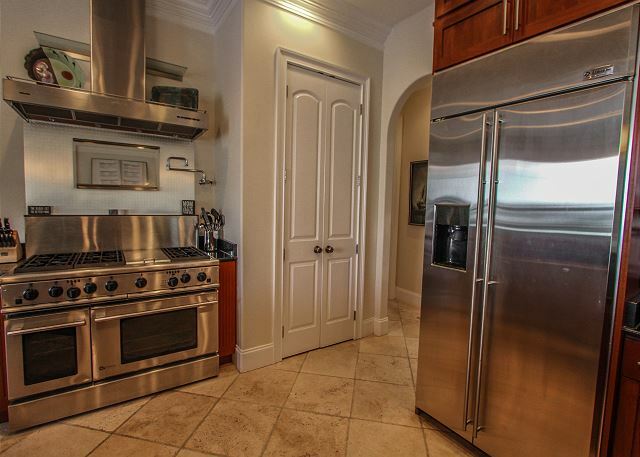 The professionally equipped kitchen is a dream to those who enjoy preparing meals at home, complete with stainless steel appliances and wrap around bar that seats four. The dining room has a table and chairs to seat eight. Travertine tile floors span the entirety of the open floor plan living area, while the custom trim and large windows create an airy, luxurious living space. The luxurious accommodations and attention to detail carry on throughout the sleeping areas. The Master Suite features a king bed, a flat screen TV and DVD player, direct access to the pool area, and a walk-in closet. 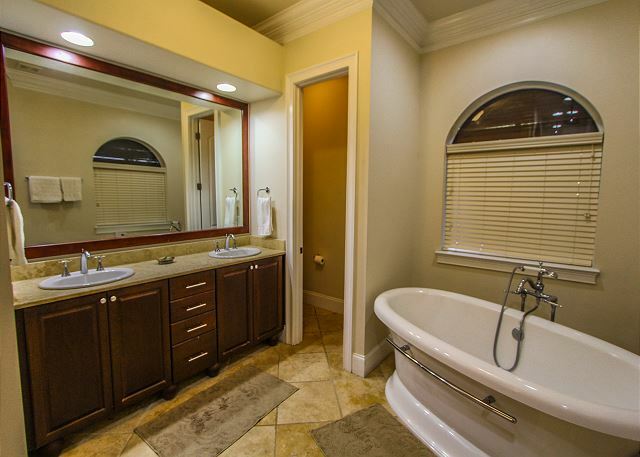 The Master bath contains his-and-her-sinks, a jetted tub, and a stand-alone shower. Additional sleeping accommodations include two king suites, two queens, full bed and two bunk beds with a trundle with TVs and DVD players throughout. There is also a small sitting room with a daybed. 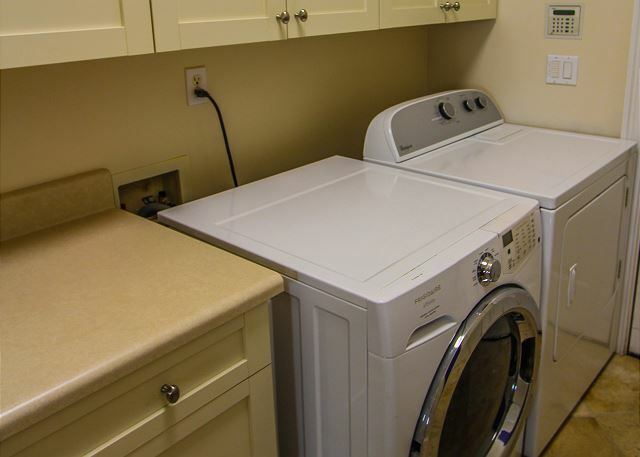 A laundry room with full size appliances services the home. The five star view of the private pool, spa, lake and Gulf is what will take your breath away. Outside, the lanai has a fireplace and grill area. Upstairs, is a large balcony with a sitting area, as well as a media room with a wet bar and a 70” flat screen TV These are perfect places to relax with refreshments after a long day at the beach. 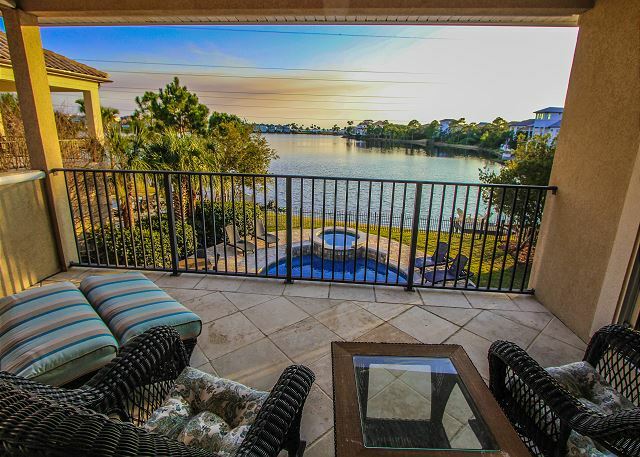 The home has a dock that you can launch your kayak or paddle board from into the lake. You may also visit the 4 million dollar community center Club Destiny in the development. 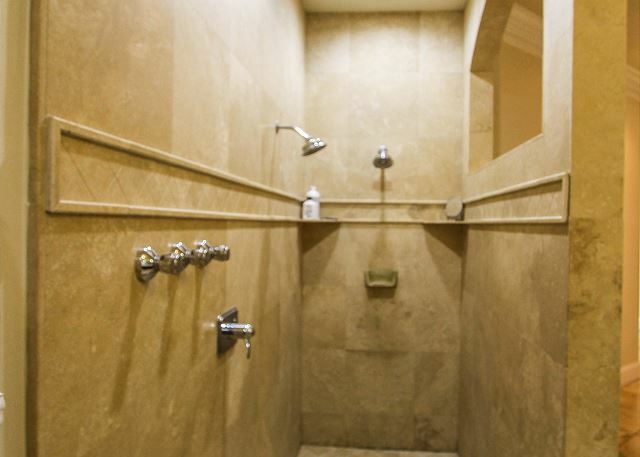 Activities include a seasonally-heated large pool, hot tub, cooking pavilion, huge children’s playground, clubhouse, putting green, exercise room, basketball hoop/tennis courts, and a 25-seat enclosed movie theater where you can watch your own movies! 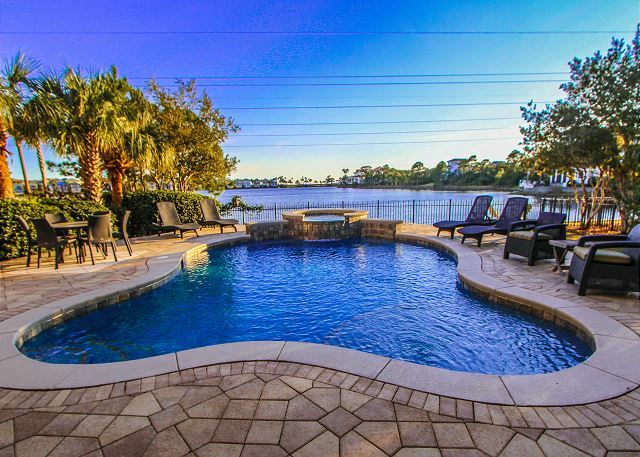 Beach'n Destin is 10 minutes from the property. If you need something, just let us know. We provide a book in the home of our favorite things: restaurants, shopping and things to do and see. Our calendars are always accurate. Don’t wait another minute to book your vacation! 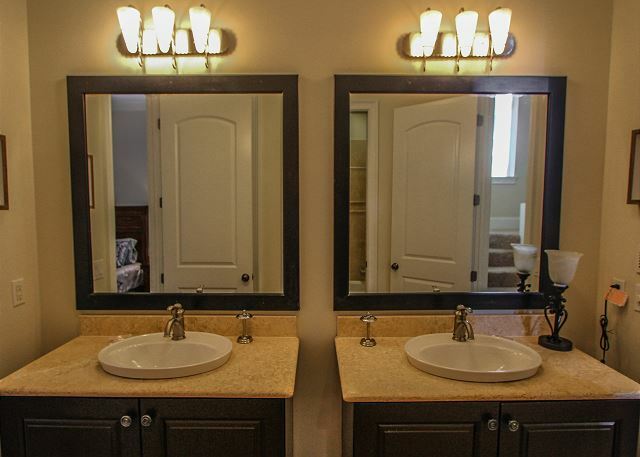 This property is one you will return to year after year! Rented anchor down for a week. Loved the space and location. Lots to do would recommend it to others. Thank you for the review. I hope we will see you again in the future to try and find the end of the list of things to do. This house was perfect for our family vacation of 14 people ranging from age 2 to 60! The pool was in use continuously throughout the week and there was plenty of room for all!!! Would do it all over again! Omg! It was amazing!!! The pictures does NOT do the house justice! It's gorgeous and the perfect girls getaway.... I would recommend that 2 anyone! Amazing!! The house had everything we needed it and accommodated all our needs. We had 12 people staying there and not once did it feel like we're all bunched up. Ours is a family of 14 & we selected Anchor Down for two weeks this summer. We were not all there the entire stay but when we were, there was plenty of space and we weren't on top of each other. 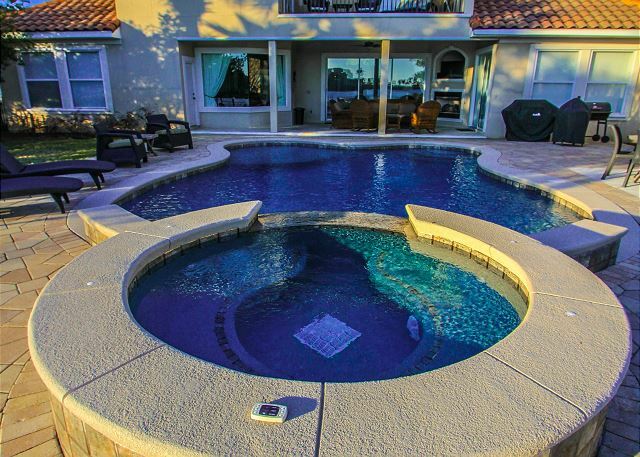 The home is very clean, has every amenity and the pool was lived in day & night. Beach'n Destin was helpful, courteous and prompt to provide anything needed to make ours a delightful vacation. The community pool is just a walk around the corner, very nice. The six-person golf cart was perfect for beach trips, barely a block away. Anchor Down's back pool/patio area is private and yet has un-obscured southern exposure so we had constant breezes, which made it all the more pleasant. We were also able to take the golf cart to lunch and dinner spots nearby so traffic & parking were never an issue on a busy 4th of July week. We highly recommend Anchor Down and were most impressed with Beach'n Destin. We were fortunate to be the third guests to occupy 'Anchor Down' which included our 4 adult children and spouses, 4 grandchildren, and great-grandmom to keep us all in check! We were in awe upon arriving at the spaciousness, quality, the 'view', and the lovely furnished home for which we would occupy; and did I mention the view?!! The beds was SO comfy cozy, ahh, I'm ready to go back!! The location was superb, lots to do in our area, but we mostly stayed put as we had everything, other than grocery runs, in order to have the best vacation ever! The golf cart rental while optional was a great choice. The grandkids loved the evening rides as well as it was helpful for beach trips daily. The lot was the best in the neighborhood for the best view. Everything about this vacation was relaxing, luxury and peaceful. The managers, David and Brantley Cook and staff were most helpful prior to the vacation as well as during our stay. We met David as a light bulb in the two-story closet blew. I contacted David and suggested we use a lamp, he insisted on coming and changing for us. When he arrived with displaying an Auburn University shirt we all were thrilled as our Mom lives in Auburn, we are from there, our youngest graduated AU, and we are all FANS! Thank you all for the best vacation ever! Our family, in addition to dear friends, united at this magnificent home for a week of ultimate relaxation that can only be summarized by two words: "Pure bliss." Our total party was comprised of 13, and there was more than enough room & space to accommodate our every need. 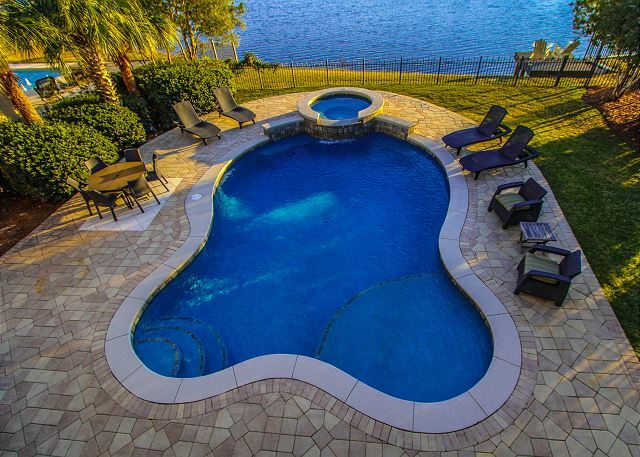 Kitchen was fully stocked; pool superb; view- spectacular! Cannot thank you all enough for your generous hospitality. 5 star service; 5 star vacation home. Looking forward to many returns in the future!